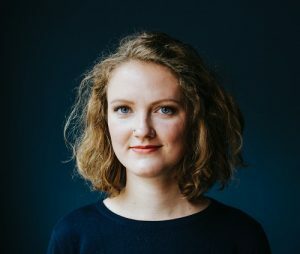 Anne L. Heisig, 26, is studying Lutheran theology at the University of Halle-Wittenberg, Germany. She spent one year studying at the former Lutheran Theological Seminary at Philadelphia. Together with her classmate Sarah Schafmeister, 30, with whom she is also working in her Lutheran congregation, she wrote this article to give an insight into her and many of her fellow student’s perception of the state of the church in Germany in the Reformation year 2017. The following is the second of two parts of Anne’s perspective. Click here to read part 1. Anne L. Heisig is a Germany theology student studying at University of Halle-Wittenberg, Germany. She previously spent one year studying at the former Lutheran Theological Seminary at Philadelphia. The relevance of the Lutheran church cannot be justified by stating how big an impact the Reformation had on the development of world history and culture. But that is exactly what I feel has been done all year. 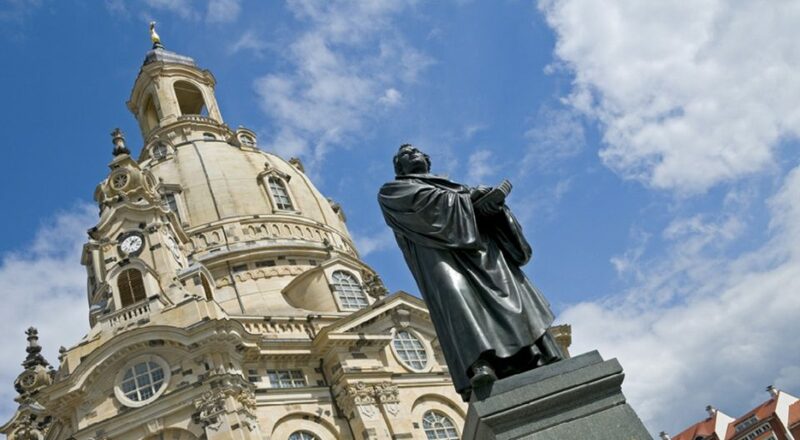 Just consider the name of the biggest Luther exhibition in Berlin, “Luther Effects.” Instead of emphasizing the theological relevance of Luther’s Reformation, the cultural relevance is highlighted. Luther as a poet, as a hymn writer, as a proponent of enlightenment, as a creator of language. Why is that? Maybe because theological matters would “only” interest church insiders, whereas cultural matters would somehow prove the church’s connection to everyone, even though not personally. Maybe it’s because showcasing Luther’s theological statements is important, but it does not attract the masses any longer. Maybe it’s because talking about God in a highly unreligious part of the country puts people off. Maybe this is why we are left with the feeling that Reformation is nowhere really, because its very message was not translated into our lives. Important theological discussions were outnumbered by cultural events. Important questions seem to have remained unanswered: What does sin mean in a secular context? Does everything end with forgiveness? What is justification by grace? Even though there were theological debates – especially within the churches – the impression is that the Reformation anniversary was the celebration of a historical event. Take, for example, southern Leipzig, an area that is mostly inhabited by young, alternative left-wing non-Christians. There I attended a hip-hop concert and saw a sticker on the club’s bathroom door saying something like “Martin Luther – anti-Semitic, sexist and reactionary.” Above it was an anti-Jewish Luther quote. Reading it, I realized that this sticker revealed so much about the perception of the anniversary celebration to critical non-Christian people. People outside the church think that we celebrate a person called Martin Luther. This is very understandable if we consider his public display. But it is also problematic; as Christians, we celebrate Luther’s theological achievements. We do not celebrate his person but rather his pointing back to the cross. We celebrate his rediscovery of grace, of freedom from church authorities. We celebrate God. Religious outsiders, however, see us celebrating a very doubtful hero – an anti-Jewish, anti-Muslim reactionary Christian fundamentalist – in a time of increasing racism. If the organizers of the anniversary keep pointing at the cultural advancements initiated by the Reformation, they should not close their eyes to the negative effects it has had on the course of history and give space for a more critical view on it. It must be said that there were in fact critical voices from within the church, discussions and lectures about Luther and the Jews etc. But obviously, they mostly stayed unheard by the public. For the sake of fairness, I must say that the economy had a big share in the anniversary’s public and mostly uncritical display. The Reformation year with its events in a rather quiet area of Germany seemed promising to the tourist sector and to any company that could produce anything related to Luther; remember the tomatoes and the rubber ducks. Luther sells – at least that is what they thought. We will see if the numbers prove them right at the end of the year. What can we as a church learn from this critical view of the Reformation anniversary? I wish we would invest more time thinking about what we can offer society. I wish we would stop looking for and copying what appears to be modern and trendy. I wish we would not feed people religious fast food in order to keep our membership rates consistent and instead would try to find out what people are really hungry for. Luther said, “Man muss den Leuten auf’s Maul schauen,” meaning you have to watch people’s mouths in order to find out what language they use, what they think about, what they struggle with. But there is a big difference between watching somebody’s mouth and talking after somebody. You can speak somebody’s language without saying what they say. And the church needs to learn how to differentiate between the two in order to become relevant again.